The is the last big event before the first major of the season, as 64 players will tee it up this week in the hope of preparing for the Masters in the best way. Tomorrow the world’s best, barring two (Adam Scott and Rickie Fowler) will start their brackets at the WGC Match Play in the hope of landing the last big title before major season kicks in. Of the 64 players, 9 still have work to do to make it into the World’s top-50 before April 1st, in order to qualify for the Masters. Of those 9, veterans Jim Furyk and Lee Westwood stick out as two that will be huge misses at Augusta should they not make the field. Furyk needs to either win one and draw two matches or win two in his group, to have a chance of making the top-50, whilst the task is much tougher for Westwood. The Englishman will need a 4th place finish at the very least this week to get into the Masters field. Only once has Westwood finished 4th or better in this event, and that was in 2012 when finishing 4th. In two starts at Austin C.C, the host venue this week, he has failed to make it out the group stages, so the odds are stacked against him here. Two players who have nothing to fear this week are Dustin Johnson and Rory McIlroy, with the two winning the WGC-Mexico and Players Championship respectively, within the last few weeks. They have both played well here, with Rory making the semi-finals in 2016 and Johnson winning the 2017 renewal but they’ve also both suffered two group exits, so it’s not been plain sailing. This Pete Dye-designed track is pleasant to look at, as it runs through Lake Austin and it will provide a good test for the 64 players this week, despite not being the longest. All Par 5’s here are reachable in two and there is also a driveable Par 4 that will tempt players into having a crack at the green, to put pressure on their opponent. The front-9 here demands more off the tee, with some tighter fairways, but the back nine gives the bombers of the field the chance to open it up and hit some big drives, given them a much better chance of scoring coming home. In 2016 37% of all approach shots came within 125 yards, which far exceeds the 25% average throughout the rest of the season. With this in mind, those dialled in with their wedges should excel here. Good putting on Bermuda Grass is important for what seems the umpteenth time in a row, as the four Florida Swing events all featured similar putting surfaces, albeit over-seeded at the Players. Ultimately, whilst birdies need to be made in abundance, it is typically those that are difficult to beat and can grind out par, from ominous positions that play well in this format, so mentality is key. It’s a different concept to winning a stroke play event, and we have often seen with players like Ian Poulter that going toe-to-toe with an opponent brings out the best in some of these players, and those are the sort you are looking for this week. The Spaniard is on the tough side of the draw, and to win he would have to go through both Dustin Johnson and Rory McIlroy in the quarters and semi’s respectively, however nothing is a given in this format, and if those two didn’t make it, he could have a decent route. Rahm is in a group with Matt Kuchar who can cause him plenty of problems himself, but should he fight Si Woo Kim off in the first match of the week, confidence will be high to take on both Kuchar and an inconsistent J.B. Holmes. Next up for Rahm assuming he wins the group would be the winner of Xander Schauffele’s group, which on paper is one of the most balanced. Rafa Cabrera-Bello, Tyrrell Hatton and Lee Westwood are all tough matches on their day, so it is hard to predict Rahm’s first knockout opponent, but again he would be favourite against anyone that emerges from that group. Rahm finished 2nd here on debut in 2017, losing out by just one hole to Dustin Johnson, and should the two meet in the last-eight, I am sure the match would produce fireworks once again. He was poor last year, when he could only salvage 1/2 a point in a group that consisted of Kiradech Aphibarnrat, Chez Reavie and Keegan Bradley, but that is just the randomness of this event. His T6 finish last week in Tampa was his seventh top-10 in nine starts on the PGA Tour this season, and since winning the Hero World Challenge at the tail-end of last season, Rahm has only finished outside the top-12 once (T45 in Mexico). His T12 finish at the Players should have been a lot better, when you consider he was the 54-hole leader, but a mental error cost him any chance of making a run. In this format one bad hole can be overcome, which suits Rahm’s volatility and considering the determination and tenacity he showed in downing Tiger Woods on his Ryder Cup debut, I have no fears about his Match Play credentials going forward. At 20/1 I think he is the value of those at the head of the betting, especially when you consider that one of either Johnson or McIlroy could slip up, if history is anything to go by. Plenty of people are going to be on board with Louis Oosthuizen, and for obvious reasons after he was handed a decent group and is on the friendlier side of the bracket. The South African is joined by Tommy Fleetwood, Kyle Stanley and Byeong-Hun An in his group and whilst Fleetwood especially will provide a tough test, Oosthuizen will fancy his chances. Oosthuizen made it to the final in 2016, but was eventually beaten by an in-form, Jason Day who himself holds great credentials in this format. He failed to make it out of the group in 2017, but won two of his games that week and only lost in a sudden-death play-off to Ross Fisher. Last year Oosthuizen made it through the group once again, but lost out to an inspired Ian Poulter, who was playing for a spot in the Masters at the time. A 2nd place finish last week shows he’s in good form and that adds to his win on the European Tour back in December when he took down his National Open. He’ll be looking to take that momentum in recent weeks into his annual Augusta visit, where we know he has the game to win. A round of 16 match against the winner of Bryson DeChambeau’s group awaits, should he make it through and given the strength of that group, the person that emerges victorious may well have been through some gruelling matches. I think he’s overpriced at 50/1 and I expect him to make another run at winning his first WGC event. 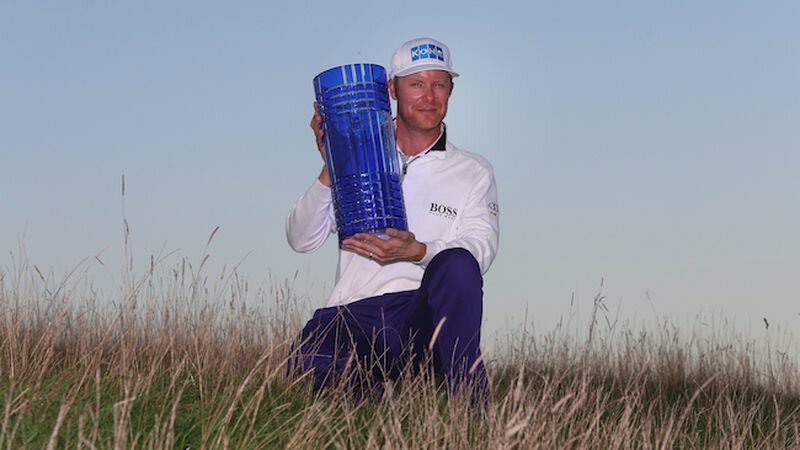 So I have gone back on forth on whether to include Furyk this week, after he was handed what appeared to be a tough draw, but the more I think about, the more I think he can emerge victorious from it. Jason Day is the obvious threat here, but a withdrawal at Bay Hill and a missed cut last week in Tampa overshadow a decent but somewhat disappointing finish at the Players, where he really should have finished better than T8. Phil Mickelson struggles not only in this format, but at this course where has faced group stage exits in two of the three years. When making the quarter-final in 2017 he was handed a favourable group as both Si-Woo Kim and Daniel Berger were out of sorts and his final opponent J.B. Holmes proved powerless, after being dealt a 6&5 beating by Mickelson. Give him his due, Mickelson did have to beat Aussie Marc Leishman in the round of 16, but he was then beat by Bill Haas in the last eight. Mickelson has gone backwards since his win at Pebble, finishing T37 at Riviera, and T39 in a limited field in Mexico before missing cuts at both Bay Hill and TPC Sawgrass. Stenson showed signs of life at Bay Hill after a rough start, but missed the cut at the Players before finishing T24 in Tampa, on a course that plays to his strengths. It remains to be seen how he plays here, as he’s skipped this event over the past three years, but that may be a sign that he’d rather not play this if he didn’t have to. Furyk is bang in form after top-10’s at the Honda (T9) and the Players (2nd) as well as an 18th place finish at the Valspar, and he will fancy his chances of taking on the winner of Justin Thomas’ group, should he get out of this tough group. Simply put this wily veteran knows how to beat anyone and is in great shape, so why not take a chance on him at three-figures, especially when he’s landed in a group with two players who have been inconsistent all season, and one who’s still yet to find top gear. It was a good week last week, but it should have been better as Jason Kokrak (40/1) three-putted the last to miss out on a play-off by one and 66/1 shot Sungjae Im made too many bogeys to finish any higher than T4. Both though gave us full each-way pay-outs to end the week with in positive figures (+15.2). A Louis Oosthuizen win would put the column back in profit on the season, whilst a Jon Rahm victory would go a long way to repairing the damage as well.